What Takes Place at a Criminal Trial? | Raw Law | Law Offices of Adam M. Thompson, P.C. If you have been arrested and charged with a crime, the time will come when you will have to make the difficult decision of taking a plea bargain or going to trial. Regardless of your guilt or innocence or if the evidence supports you or not, the prospect of taking your case to trial is intimidating. Your fate hangs in the hands of others based on how things go at trial. The decision to allow a judge or jury to decide your fate should only be made after consulting with your criminal defense attorney. Therefore, it certainly helps to familiarize yourself with what takes place at a criminal trial when contemplating the resolution of your case by trial. Although every criminal trial is unique, there are some common steps that apply to any criminal trial in the State of New York. Jury selection. 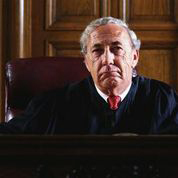 Formally referred to as "Voir Dire", jury selection is the first step in a criminal jury trial. Members of the community are summoned by the court and required to appear on the day of trial. Both the prosecuting attorney and the defense attorney will be permitted to question prospective jurors. Jurors are then eliminated by either side using challenges for cause and peremptory challenges. When all peremptory challenges have been exhausted and no more challenges for cause exist, the remaining individuals become the final jury. Opening statements. The prosecutor is required to present an opening statement to the jury outlining how the State intends to prove the charges against the defendant at trial. The prosecutor will review the evidence to be presented and the witnesses and experts that may appear. When the prosecutor is finished, the defense attorney may also make an opening statement. Under the law, there is no obligation to do so. The burden of proof is entirely on the State/prosecutor. The defense does not have to do a thing. However, often, the defense attorney will make an opening statement contesting and challenging the evidence that the prosecutor intends to offer and sometimes offers an alternative version of the facts as a defense. Prosecution presents their case in chief. The prosecutor always has the burden of proof. The prosecutor must prove the accused guilty beyond a reasonable doubt. In all cases, since the burden is on the prosecutor and the defense has no obligation to do anything, the prosecution always goes first. The prosecution will present evidence in many different forms including testimony from witnesses, photos, videos, medical records, tape recordings, and other tangible items. Witnesses will be called to testify, known as "direct examination", and evidence will be admitted. The defense attorney may cross-examine all of the state's witnesses. Defense. When the State rests its case, the defense has the option to present evidence. Again, because the State has the burden of proof, the defense is not required to present anything. Whether or not the defense presents evidence and calls witnesses, particularly the defendant, is a matter of strategy. Closing statements. After both sides have presented their cases, the attorneys will give a closing statement. This is essentially a summary of the case as presented to the jury by each side. Jury Instructions. The judge will read a set of jury instructions to the jury specific to the case, the New York laws that apply and need to be followed, and review with the jury any evidence that was stricken or limited and remind them not to consider it in whole or part as a result of trial rulings. Jury deliberation. The jury is escorted out of the courtroom for deliberations. A foreperson is chosen by the jurors and deliberation of the case begins. The jury verdict must be unanimous. Therefore, deliberations continue until all jurors agree on the verdict. Verdict. Once a unanimous verdict of "guilty" or "not guilty" has been reached the jurors will return to the courtroom to announce the verdict. If, after a reasonable amount of time, the jurors cannot agree on a verdict, the result is a "hung" jury. In that case, it is as though the trial never occurred and the prosecution must decide whether to start over and re-try the case or not. Sentencing. If the defendant is found guilty the judge may proceed straight to sentencing or may set a sentencing date in the near future depending on the nature of the charges. The trial process is obviously very involved. It can also take a very long time from the date of the arrest until a trial starts and completes. It is important to understand the process and have an experienced attorney represent you and protect all of your rights and interests. If you have specific questions about the criminal trial process, contact an experienced New York criminal defense attorney right away. If you have been charged with a crime in New York and are trying to figure out what to do, contact an experienced New York criminal defense attorney as soon as possible.